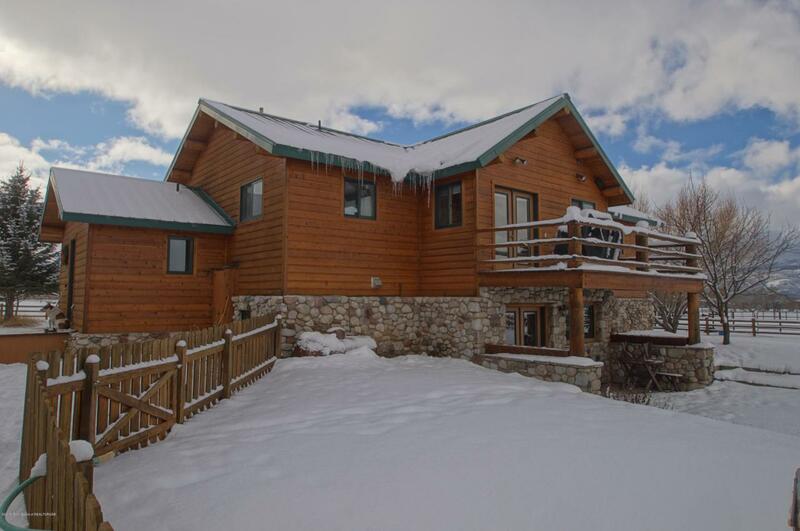 Beautiful home built in one of the most desirable areas of Teton Valley. Five acres at the end of 3000 S, live water, large mature trees and views in every direction. There is a view of the tip of the Grand. Fenced for livestock, this home has large south facing windows, alder cabinets, new double oven, granite in the kitchen, and a walk out basement. Not in a subdivision, and large parcels surround this home and another five acres behind it is available if wanted for an additional cost. Seller will take livestock panels and sheds with them to their next building site. The sell will be subject to a 60' road and utility easement along the South boundary.